Whether my patients undergo surgery or a conservative treatment, the most rewarding aspect of my job is seeing the joy in their faces after a successful outcome. Dr. Baker is board certified in orthopedics by the American Board of Orthopaedic Surgery and fellowship trained in sports medicine and shoulder reconstruction. With a focus on patient education, Dr. Baker works with patients to ensure they fully understand their orthopedic options and outcomes. Dr. Baker’s additional training in ultrasound imaging allows him to care for patients who have MRI contraindications due to pacemakers, foreign metal in their bodies or severe claustrophobia. 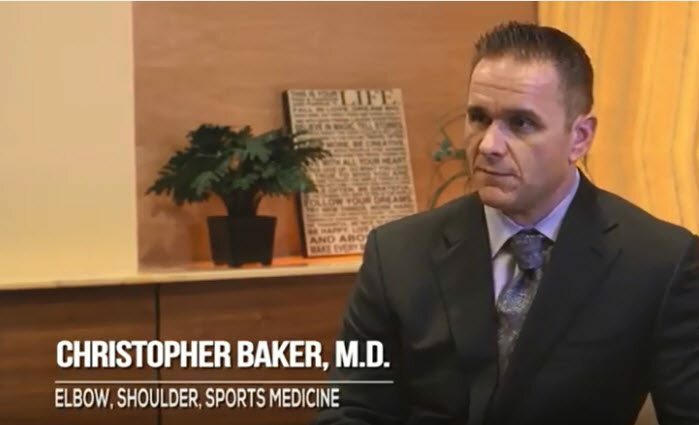 As an expert in the field of orthopedics and sports medicine, Dr. Baker has delivered more than 10 lectures nationally, has authored several book chapters and received numerous awards and accolades. As an advocate for sports medicine and injury prevention, Dr. Baker served as the orthopedic and sports medicine physician for the Tampa Bay Storm, Wesley Chapel High School and Zephyrhills High School, and has worked with the Pittsburgh Steelers, Pittsburgh Penguins, Pittsburg Panthers, World Wrestling Entertainment and the Colorado Rockies. Dr. Baker is a member of the Arthroscopy Association of North America, American Orthopaedic Society for Sports Medicine and American Academy of Orthopaedic Surgeons. Dr. Baker’s personal interests are playing golf, travel and spending time with his two young children. Dr. Baker is a godsend. He’s personable and you can tell he truly cares for his patients. I’d been dealing with extreme shoulder pain for six months and was told by another physician that I’d need surgery to fix the issue. Dr. Baker advised against it, saying I had ‘frozen shoulder’ and opted for cortisone shots and physical therapy instead. The shots and PT have helped immensely. I now have more range of motion my with right arm and can raise it above my head. That is something I couldn’t do for half a year! I had my first appointment with Dr. Baker yesterday. He and his PA, Emily, were so clear and explicit in what is going on in my right knee. They let me know what I can do to help it and avoid pain. All my fears and nightmares disappeared and with care, I will be able to ski again! I am so very grateful for all your wonderful care of me. Fabulous orthopedic specialist! Especially if you are hurting. He will help you! Dr. Baker is awesome and very thorough. Emily explained to me why Dr. Baker was taking long to see me and used the time to clarify doubts. Rhonda is fantastic. I have no regrets on choosing this facility. It is the best. I have had two shoulder surgeries within the past six months. Dr. Baker and his staff have been amazing. My physical therapist has even been amazed at how quick my recovery has been as well as my range of motion. I highly recommend Dr. Baker! Dr. Baker really knows his stuff. I have a follow up in two weeks. He’s great! I especially enjoyed meeting Doctor Baker. I had been in so much pain prior to my visit. Doctor Baker suggested a procedure and by the time I was getting back into my car, I was feeling relief. I will follow-up with Doctor Baker and follow any instructions he may give me. He is an excellent doctor. Dr. Baker was a second opinion for my shoulder issues. He listened to everything I had to say, knew the problem immediately and he provided immediate relief that is still effective now. This is the first positive experience I’ve had with an orthopedist. I would highly recommend Dr. Baker to any and everyone! I’ve taken my children to the Temple Terrace offfice for years. When I experienced an issue with my knee, I went straight to Florida Orthopaedic Institute. Setting my appointment was a breeze. The staff is extremely helpful and friendly. Dr. Christopher Baker took time to explain my injury and how he could resolve my pain. Dr. Baker is extremely knowledgeable and professional. No one can beat his expertise. We have been very pleased since our first appointment with Dr. Baker. He and his staff scheduled my daughters’ surgery very quickly to get her in during Christmas break from college. He explained the procedure and my seventeen year old daughter felt completely at ease. Since surgery, he and his office staff have always been pleasant and quickly responsive. He has even done research into my daughter’s sport to safely get her back into shape and competing. Highly recommend this great doctor! 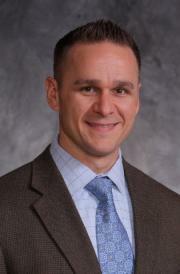 Dr. Baker presents himself as a true professional and highly qualified. I would be honored to have him as my orthopedic doctor or surgeon. He showed the ultimate concern and offered his services if needed in the future, I found this most reassuring considering he is not my current surgeon. Thank you, Florida Orthopaedic Institute, and Dr. Baker. I would recommend his facility and staff to friends and family members in need of orthopedic services. I had a torn rotator cuff, a dislocation of my shoulder, and a fracture. It was literally a big mess! I went to Dr. Baker and he took a personal interest in my situation. He was very sympathetic and assured me he would do everything possible so I would regain full motion in my shoulder. Dr. Baker is amazing! He performed my surgery and everything went perfectly! As of today, I have full range of motion in my shoulder! Thank you, Dr. Baker, for everything you did for me! I would recommend Dr. Baker to everyone! Dr. Baker performed two of my surgeries in the past five years. Both of them were extreme circumstances, but I came out of both surgeries stronger than ever. Recently, I have been doing physical therapy with the staff at Florida Orthopaedic Institute to keep my muscles strong. The treatment I receive is world class and the improvements I have made in such a short time are amazing! My experiences with Dr. Baker at Florida Orthopaedic Institute have been very impressive. Dr. Baker and his staff have been professional, timely and most importantly, skillful, experienced and knowledgeable. Over the past three plus years, he has surgically repaired my rotator cuff, broken arm and chronic knee problems. What keeps me going back to him has been how efficiently he has identified my problems, treatment plans and follow-up. Dr. Baker is an extremely conscientious doctor and I am very thankful for that. I had major surgery on my olecranon and he was very firm and serious with me on working to get my full range of motion back. I have had several people, including other medical professionals, tell me what an awesome job he did on my elbow. You can hardly see the scar or plate. I have no discomfort and my full range of motion back. I highly recommend him! I want to take a moment to acknowledge Dr. Baker and his staff. Dr. Baker took time to explain the procedure and answer all of my questions. Everyone is so friendly and I am very thankful you were able to care for me. The hours you are available are wonderful and setting up an appointment time was very efficient. Dr. Baker and his staff are professional and thorough. My story begins with a massive tear of my rotator cuff. Fortunately for me, I was sent to Florida Orthopaedic Institute by the VAMC Bay Pines. Upon my first meeting with Dr. Christopher Baker, he explained that not only could he repair the rotator cuff, something that the VA facility was unable to do, but that he was working on a new procedure that would include a patch. Arthroscopic surgery was performed, the rotator cuff was repaired and the patch applied. The hardest part of the recovery was not being able to use the shoulder for 8 weeks while the repaired area healed and the patch had a chance to adhere. Once I was approved by Dr. Baker to begin Physical Therapy, I chose to attend the Florida Orthopaedic Institute Rehabilitation Center in Palm Harbor. Under the direction of Mike Fittin, PT and his staff including Meagan Faulk, MS, ATC and Greg Hartney, PTA, I was able to begin an 8-week program that allowed me to regain complete range of motion and begin to increase my strength training on a gradual basis. Each rehab session would consist of stretching of the shoulder and arm muscles, the exercises were designed to strengthen the surgically repaired area. The individual attention given by Mike, Meagan and Greg was far more than I expected and contributed to the excellent results I accomplished. I cannot thank the entire staff at FOI Rehab Center Palm Harbor enough for the personal attention to detail I received. Dr. Baker is outstanding. He listens, gets to the point, doesn’t use medical jargon and put my friend at ease. He also helped her knee pain. I wanted to take a moment to express my sincerest appreciation and gratitude to Dr. Christopher Baker and his exemplary Administrative Assistant, Emily Oakley. In a very unexpected manner, I injured my knee which left me unable to walk. As an independent career woman, mother and spouse, at 47 the experience of such an injury can not only be physically painful, but also emotionally trying. I contacted Dr. Baker who had done a fantastic job with my ACL replacement and spoke with Emily who assisted me with getting an immediate appointment, an MRI and she also worked efficiently with my employer to ensure they received all necessary documentation before, during and after my care. Dr. Baker’s staff Nina and all his front desk personnel are very friendly and provide great customer service. I was diagnosed with a (L) knee tibial plateau fracture (no operation needed) and Emily’s efforts of providing my employer and insurance company with needed documentation, allowed me to focus on healing as opposed to worrying about obtaining all supportive forms. Emily also assisted me with arranging for my PT once I was able to bear weight and she followed up with me to ensure that I was doing well. I also want to thank Dr. Baker for his excellent care, direction and compassion. I’m truly grateful that the Florida Orthopaedic Institute has skilled, experienced and patient friendly doctors such as, Dr. Baker. Dr. Baker genuinely exhibits that his primary goal is for the care of his patients and his expertise will enable them to maintain if not improve their quality of life after injuries and/or surgery. I cannot express my THANK YOU enough for the phenomenal care that I received from both Dr. Baker and Emily, as their dedication to patient care has allowed me to regain my independence and not just maintain, but I’ve improved the quality of life for both myself and my family.